Who spends more time in your yard than you do? Your dog! Many homeowners are incorporating “dogscape” features to make their outdoor spaces more canine-friendly that are great for people too! What do you consider when designing a landscape that both you and your pups will love? Plants with soft, sturdy foliage such as ornamental grasses can stand up to dogs without injuring them. Materials such as mulch, round river pebbles and flagstone are easy on the paws. You can plant (safe) vegetation as doggy boundaries. Place plants close together to designate areas, such as flowerbeds, as off-limits, and train your pet to avoid them. Leave some open areas for your dog to run and play in. If you use metal or other edging, choose one that’s paw friendly. Poured concrete edging, brick pavers and concrete blocks are safe edging choices. Think outside (or inside) the box. 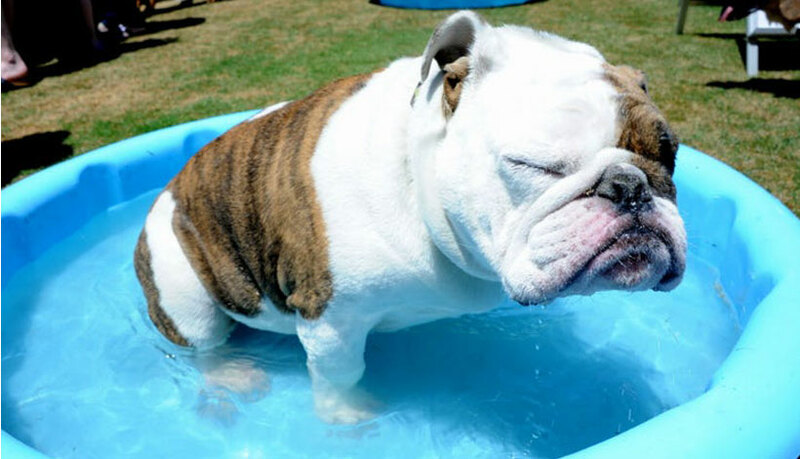 In your dog-friendly oasis, consider adding a splash pool just for your dog; a sandbox, digging box or bed if Fido loves to dig; and a “puppy pergola” for shade. You can even go all out and add a canine obstacle course, if you have the space. 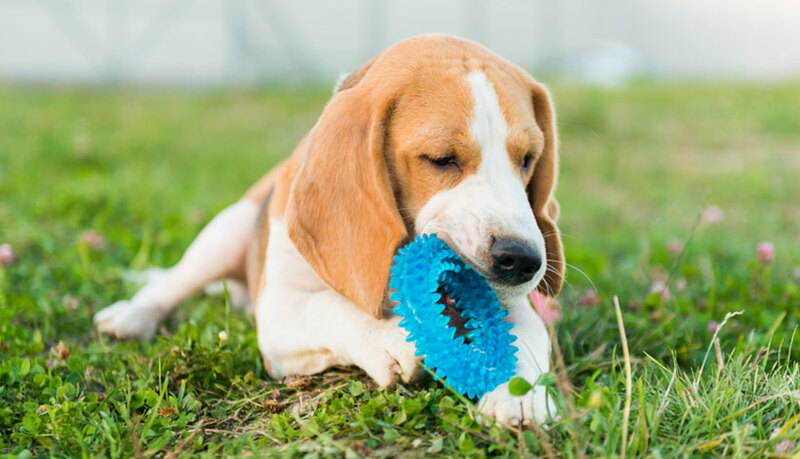 Paved surfaces can get too hot for your pet’s paws, so make sure your dog’s main play area has grass and shade. For practiced escape artists, check fences for holes and weak areas. Pay special attention to gates and locks to see that they are fastening properly. Make a window to the world. You can buy and install a fence bubble window or create a dog window in your existing fence using screening or glass. 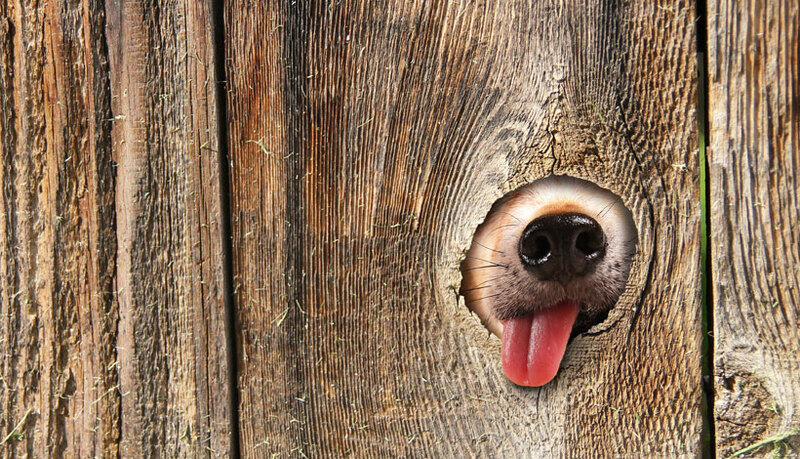 It can help stop excessive barking since the dog will be able to see what they smell or hear just outside the fence. An average, healthy dog drinks about a half to 1 ounce of water per pound of body weight each day. Puppies need a half-cup of water every two hours. 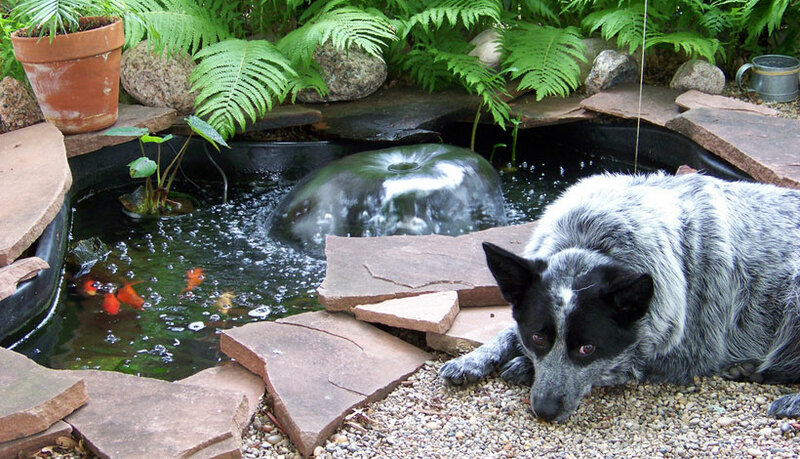 A water element such as a pond or waterfall can do the trick. A common problem is brown spots, due to the nitrogen in dog urine. Keeping the lawn well watered and the blades somewhat long will help dilute the urine and hide the browning. Designate a bathroom area for your pet that can be hidden behind a fence or other natural barrier. 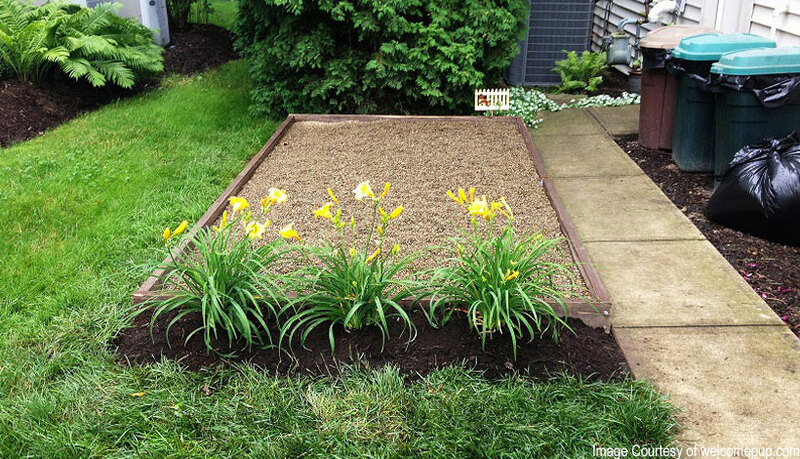 Another option for a bathroom spot is a gravel patch that can easily be hosed down. Designate shady spots and shelter. Make sure there’s a nice, shady spot under a tree or install a doggy door into a garage so Fido can escape the weather. 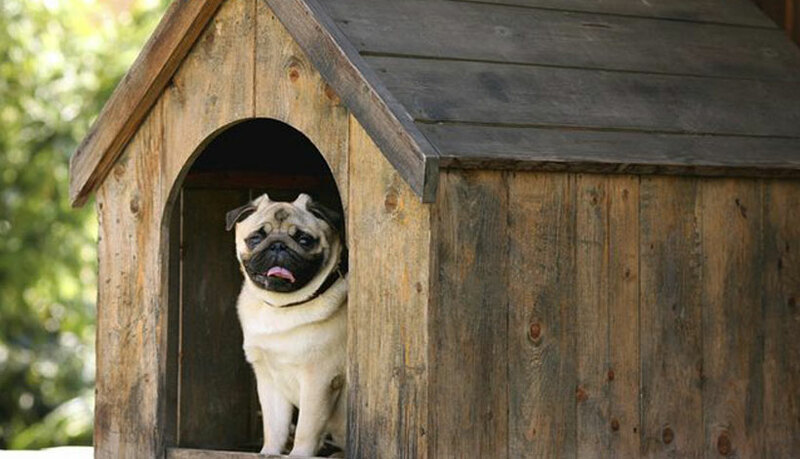 A good old-fashioned doghouse works, too. 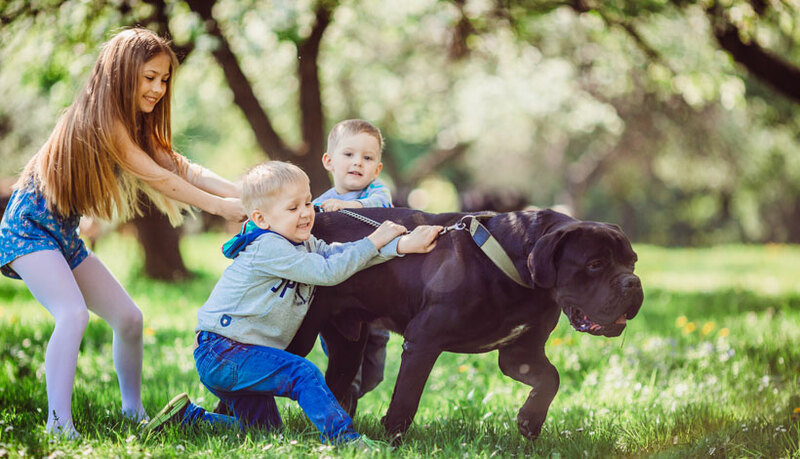 With some thought and planning, it is possible to design a pet-friendly and safe yard that can be enjoyed by all your family members.